For a video by the Arizona Bureau of Tourism of Andrei painting in Monument Valley (a good example of "Speed Painting!") click here. 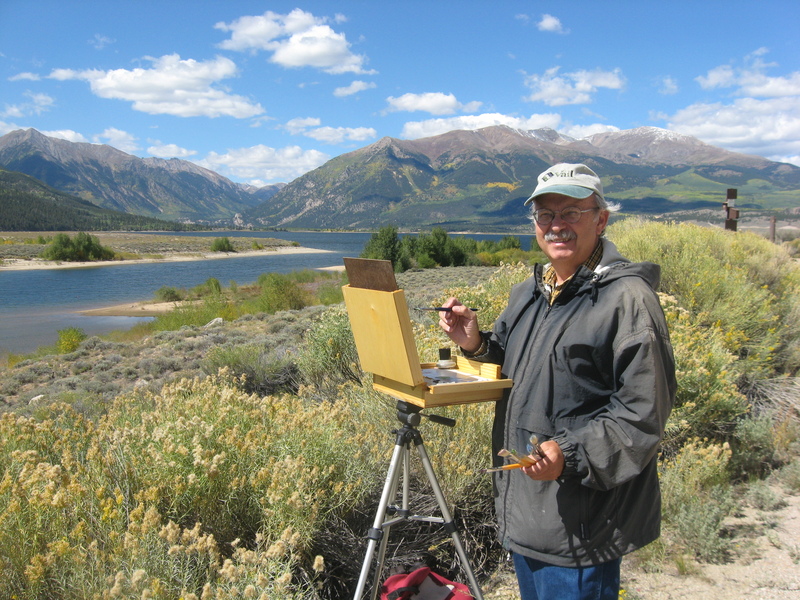 ANDREI KUSHNIR, a plein air painter for over thirty five years, has exhibited in galleries and museums throughout the United States. His works have been shown in exhibitions juried by curators from the National Gallery of Art, National Museum of American Art, Hirshhorn Museum, and the Corcoran Gallery. He is an elected member of the Salmagundi Club NYC, Washington Society of Landscape Painters, a signature member of the National Oil and Acrylic Painters Society, and a member of Oil Painters of America. He is also an official Coast Guard Artist. His work is in the public collections of the US Coast Guard, DC Commission on Arts and Humanities, Museum of Florida’s Art and Culture, Museum of Virginia's History & Culture, University of Maryland University College, the University Club, Washington DC and in numerous private collections around the world. Andrei's work is unique in that he is a true plein-air painter, he carries no camera or drawing equipment, His gift is to absorb and express what is happening in the moment, at the place. He paints with a unique intensity. 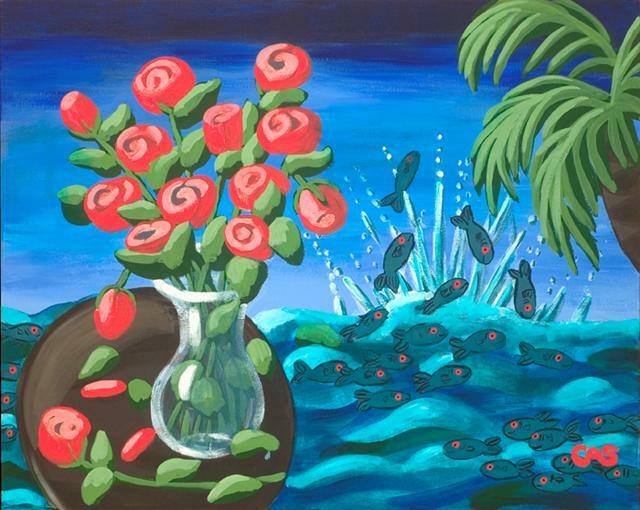 This ability to focus is what gives his paintings a sense of shared experience. Michele Martin Taylor has spent a life-time communicating through the medium of oil. First immersing herself in drawing, Michele studied at Chouinard Art Institute, Pasadena Art Institute, California State University at Northridge, graduating with a B.A. in Painting and Printmaking. She did post-graduate work in Paris in painting. 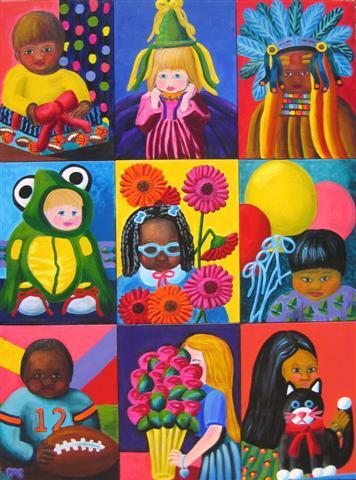 Michele Martin Taylor has over 1,200 pieces of artwork in collections, public and private, throughout the world. Her work is in the collections of their royal majesties, Emperor Akihito and Empress Michiko of Japan, Former Justice Sandra Day O’Connor, Mr. and Mrs. Vernon Jordan Jr. and Senator and Mrs. Mark O. Hatfield. Institutions include, but are not limited to the Portland Art Museum, The University of Oregon Art Museum, The Mayo Clinic, Rainier Bank and Trust Co, US Bankcorp, the District of Columbia Commission on Arts and Humanities, and The Norick Art Museum, University of Oklahoma. Alexangel Estevez is best known for his passion for the great outdoors. Whether it is landscapes or cityscapes, his eyes capture the scene and his imagination explores the details of nature that may otherwise elude others. He enjoys being swept away with awe-inspiring views. 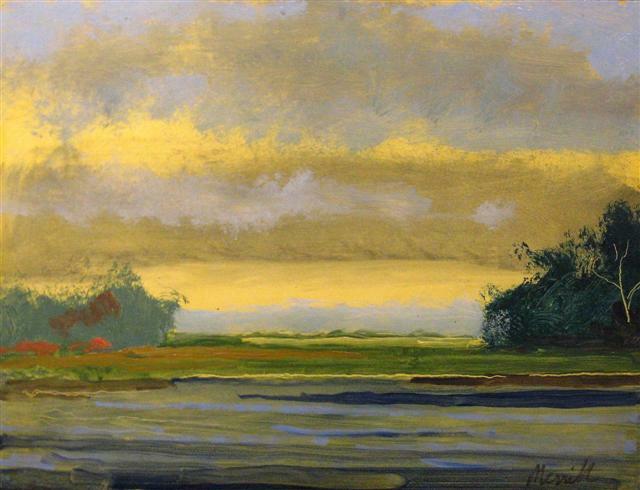 He uses clouds as one way to express emotion in his paintings. As an artist, he expresses himself through oils on canvas… by pushing and pulling the paint and capturing moments in nature. His goal is to take the viewer on that same journey he had and to experience the scene as he did. Michael Francis studied at the Corcoran School of Art. He went on to receive his BFA at the Maryland Institute College of Art in Baltimore, MD. He completed his masters of fine arts at George Washington University and studied at American University. He has held positions at Trinity College, George Mason University, Northern Virginia Community College, Charles County Community College, and Prince George's Community College. He currently teaches at the Art League School in Alexandria. And also, he has studied and taught both individually and under the auspices of various institutions in Paris, Brittany, France, Madrid and Southern Spain, greece, Italy, Ireland, Mexico, Thailand, Cambodia and Iceland. 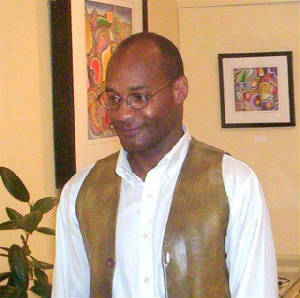 Michael has had numerous solo exhibitions in the Washington area including two at the Georgetown Gallery and one at the Hull Gallery as well as eight shows at Gallery K. In addition to these, he has been given individual shows through the following art organizations: The PG County Arts and Cultural Heritage Division; The Charles County Community Commission; The Danville Museum of Fine Arts & History in Danville, VA; The Emerson Gallery in McLean, VA; The Fredericksburg Center for the Creative Arts ( a Virginia Museum affiliate) in Fredericksburg, VA; The Fells Point gallery ( sponsored by the Maryland Institute College of Art); and the Foundry on the Canal gallery ( sponsored by the U.S. Park Service). Group shows include the "'40-'80" exhibit at the Institute of Contemporary Art, Virginia Museum of Fine Arts; a two-person show at the 20th Century Gallery, Williamsburg ( a Virginia Museum affiliate); "The Washington Landscape Transformed" at GWU; "Views of Georgetown", at Georgetown University; a landscape exhibition at the Studio Gallery; "Realism and Representation: "New Work by 25 Artists" at the Arlington Arts Center; "Virginia Artists, Graphic Arts and Drawing Exhibition" at the Virginia Museum of Fine Arts in Richmond; and a three-person exhibit "Cityscapes" at Gallery K.
Juried exhibitions include the " Allied Artist Painting Competition", NY,NY; the "Juried Exhibition" by Jane Livingston at the Arlington Arts Center; and the "First Annual Landscape Competition" at the Tolley Gallery. 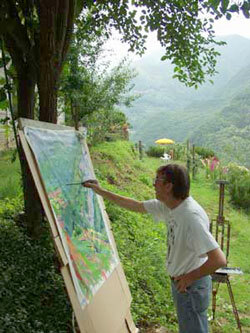 Awards that Michael Francis has received include the "Virginia Prize for Painting", the" David Lloyd Kreeger Prize" ( First Place for Painting), and the "Wadell Award for Painting", He also was the recipient of the" William Wilson Corcoran Scholarship", the Virginia Museum Fellowship, and George Washington University Fellowships. For Michael's Gallery, please click here. Carol's Gallery Website is currently undergoing revision. Carol Spils, a native of Anchorage, Alaska, has been drawing since childhood. 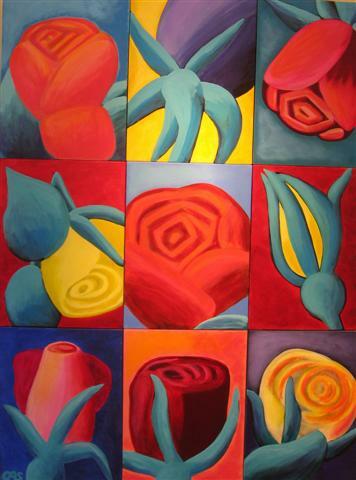 While primarily self taught, her style has been informed by classes at the Corcoran School of Art. Her modular, archetypal style has been widely collected in the DC area and she is in the collections of the Childrens National Medical Center, Washington Hospital Center and numerous private collections, both in the US and abroad. She has had one person shows at Taylor & Sons Fine Art 2001, the Children's National Medical Center Hospital 2004 and American Painting Fine Art, NY and Market 5 Gallery 2006. Her Panda was included in Pandamania, the book of Washington pandas, and is now in Alexandria at Kid Doc, a pediatric center. 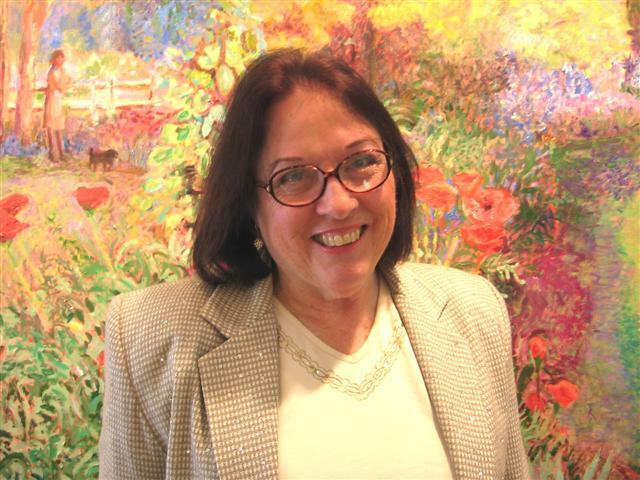 Carol is the Art Gallery Director for American Painting Fine Art, Washington, DC. For Stevens' Gallery, click here. Stevens Jay Carter has been a working artist for nearly 20 years. He was born in Plainfield, New Jersey and received a B.A. in Studio Arts from the University of Pittsburgh. Carter’s artistic credits include commissioned murals in such places as New York City, (the Pathfinder Publishing Co. and the Carlton Arms Hotel), the City of Altoona, Altoona, PA, the Williamsport Arts Council, Williamsport, PA, the Blue Mountain School District, Pottsville, PA, the PA State Correctional System, Harrisburg, PA, the Smithsonian Folk Life Festival, Washington, DC, the DC Commission on the Arts U Street Festival. He also created a backdrop New World Dance Co. in Washington, DC which has been used by former Mayor Sharon Pratt Kelly and entertainer Stevie Wonder; and more recently, he painted the Millennium Image for The Capital Jazz Fest in Annapolis, MD. Currently Stevens is completing a Public Commission for the Montgomery County Public Art Trust in Maryland. In addition, Carter has exhibited nationally including the Blair Museum, Holidaysburg, PA, the Southern Alleghenies Museum, Johnstown, PA, the Afro-American Historical and Cultural Museum, Philadelphia, PA, Artspace Gallery, Sacramento, CA, Ariel Gallery, New York, NY, the Palm Beach Gallery, Houston, TX, the Ira Pinto Gallery, Washington, DC, Gallery 10, Washington, DC, the Corcoran Gallery of Art, Washington, DC, the Anacostia Mueseum, Washington, DC, The Smithsonian, The Sumner Museum, Washington, DC and continues to exhibit in alternative art spaces such as, the Garfinckels Building and the Washington Gas Co. Building, The Franklin Court Building, Washington, DC. Carter has won several awards such as the DC Commission on the Arts Technical Assistance Award, a visiting Smithsonian Institution of Fellowship, several Artist in Residence grants from the Pennsylvania Council on the Arts. He won the ArTrends Gallery Choice Awards 2000 for the best Contemporary Artist. Stevens is a 2006 recipient of The Pollock – Krasner Foundation Grant Award. He has also held non-solicited faculty positions at Carnegie Mellon University, Pennsylvania College of Technology, and Slippery Rock University. Included in his career are lectures at the Smithsonian Institute, Pennsylvania State University, and the University of Pittsburgh. His bibliography list includes Evening Magazine Channel 2, The 2-Day Show, Black Chronicle, Pittsburgh, Magazine, the Shooting Star Review, The City Paper, DC Arts, Art Trends Magazine, The Washington Times. And most recently the alumni publication, the Pitt News. Carter’s list of collectors is diverse and includes the Evans Tibbs Collection, The International Multicultural Arts Foundation, Carnegie Library, the Mosby Lifeline Publishing Co., the Corcoran Museum of Art, the Smithsonian Institution and the District of Columbia. Ross Merrill's works continue to attract new collectors and admirers. American Painting Fine Art is proud to have been chosen by the family of this great artist to represent his works in the Mid-Atlantic region.